Eric Harshbarger is a man of many talents. From professional LEGO® building, to puzzle designing and Scrabble competitions, the Auburn University Mathematics instructor keeps busy. “I have all these different interests that come and go and are always competing for my time,” Harshbarger said. 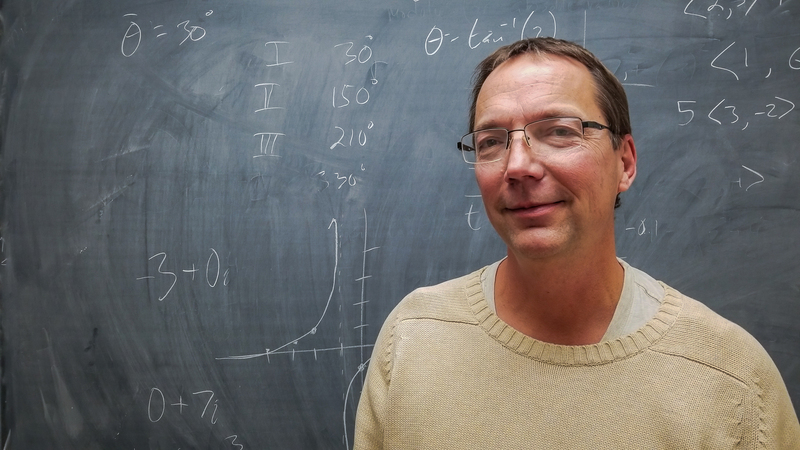 Harshbarger grew up in Auburn and graduated from the Auburn University Mathematics Department with a Bachelor of Science in 1992, and a Master of Science in 1994. He moved to California in the late ’90s to work in the computer industry, but moved back to Auburn in 1999 and has lived here since. After returning to Auburn, he found himself with a lot of free time and began creating large-scale LEGO® designs and posting them online. He soon began receiving requests for creations such as building LEGO® designs for companies looking to market their business. “I never worked for the LEGO® company, but I was the first person in the world to make a living out of it outside of the company,” Harshbarger said. One of the LEGO® designs Harshbarger is probably known best for around Auburn is his LEGO® replica of Samford Hall that he built in 2011. 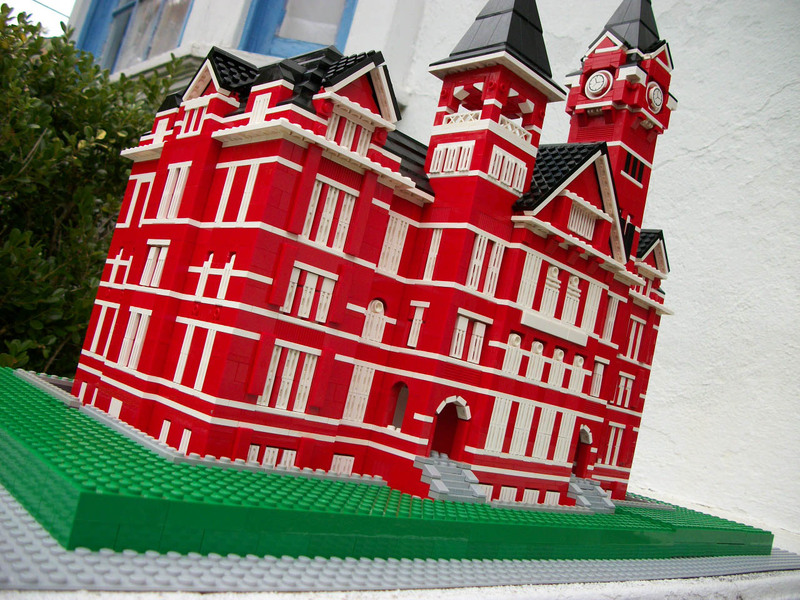 LEGO® replica of Samford Hall. “Growing up in Auburn and having played with LEGO® bricks my whole life, whenever I would walk by Samford Hall I would always look at the architecture and the colors and angles and always think that it could probably be build out of LEGO® bricks,” he said. From creating the design to special ordering the pieces, the replica took a month to construct. Harshbarger said he is proud of the finished product, which is displayed mostly at his home, but throughout Auburn at different times of the year. He has even sold a few replicas. 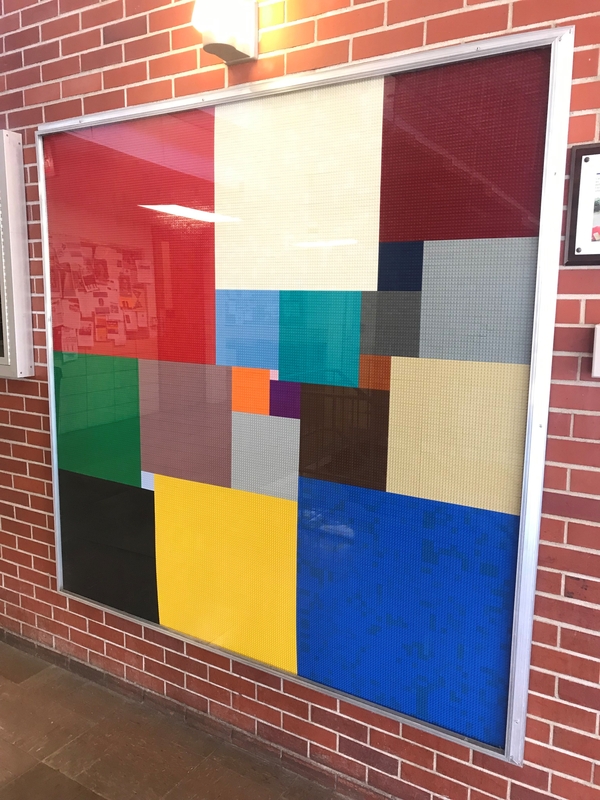 “Twenty-One Squares” in Parker Hall. Harshbarger is also well known for his work in puzzle and game design. His Digits in a Box toy has been produced by Popular Playthings since 2007. In 2009, Wired magazine featured an optical illusion puzzle of his design in 2009. His puzzle TicTac's Tactics won Jury Honorable Mention at the 2018 International Nob Yoshigahara Puzzle Design Competition. He said he has been doing professional puzzle designing on and off for about 15 years. He even creates the puzzles for COSAM’s AMP’d (Auburn Mathematical Puzzle Challenge) competition. He has also hosted puzzle parties once a year in Auburn for 13 years. 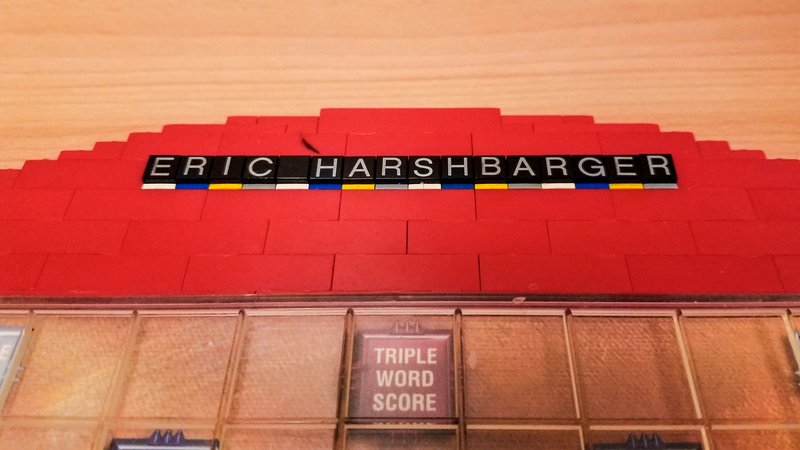 Professional Scrabble Board with Harshbarger's name. You may have seen Harshbarger’s fliers around campus looking for Scrabble players. Among all of his other interests, Scrabble is currently at the top of the list. Harshbarger travels about once a month to locations such as Delaware and New Orleans to compete in tournaments. He joined a Scrabble club in Birmingham that introduced him to competitions. He added that he usually plays for about three or four years and then takes about the same amount of time off. He recently picked it back up in September. Harshbarger said he’d love to help Auburn students improve their Scrabble game.